Celebrate the Fourth with Overstock Farmer's Market Fresh Delivered to Your Door! The fourth of July is upon us! Are you ready? What do you like to do for the fourth? Do you gather with family to share a meal? What do you like to cook for the fourth? 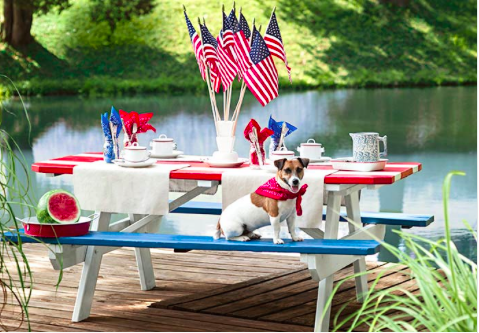 We always like to gather with family to celebrate our nation's birthday with a picnic style meal of sorts. There is usually a grill involved and lots of homemade ice cream. I always try to plan my menu ahead and buy what I can, so that I don't have to go to the grocery store, once I get to the beach house. There is nothing worse than getting caught in traffic during the busy holiday with day trippers visiting the island. I avoid the car at all costs during those heavy traffic times or else you could spend precious beach time in the car. I recently discovered the answer to my dilemma of driving in the car with groceries for four hours from Charlotte or spending beach time shopping. Overstock.com is now offering a Farmer's Market Fresh site. I can order anything I need online! Look at some of the good things I found! Click here to order everything from fresh produce to artisanal food delivered to your doorstep. We all know designers love the details. I admit it! Guilty as charged! I don't think I have ever met a trim, fringe or self welt, I didn't love! The old saying "the devil is in the details" pays homage to this as well. Paying attention to the details is what sets our designs apart. Anyone can order a fabulous designer fabric but how we choose to fashion the details with this fabric creates the outcome of the design. The details are the icing on the cake that takes design work up a notch. Think of ways you can elevate your work to the next level with thoughtful details. 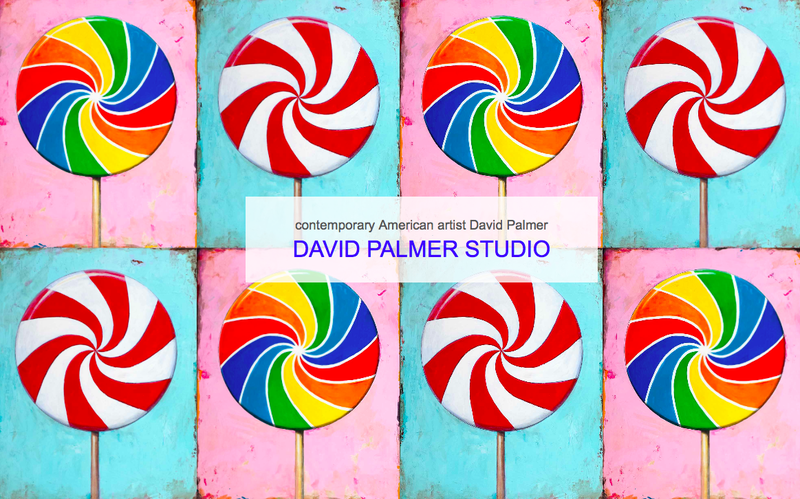 I found the amazing artist, David Palmer by clicking through new followers on my Pinterest account this morning. David has one of his paintings as his profile picture on Pinterest. There was something about that red and white pinwheel lollipop that caught my attention and made me want to see more from this artist. 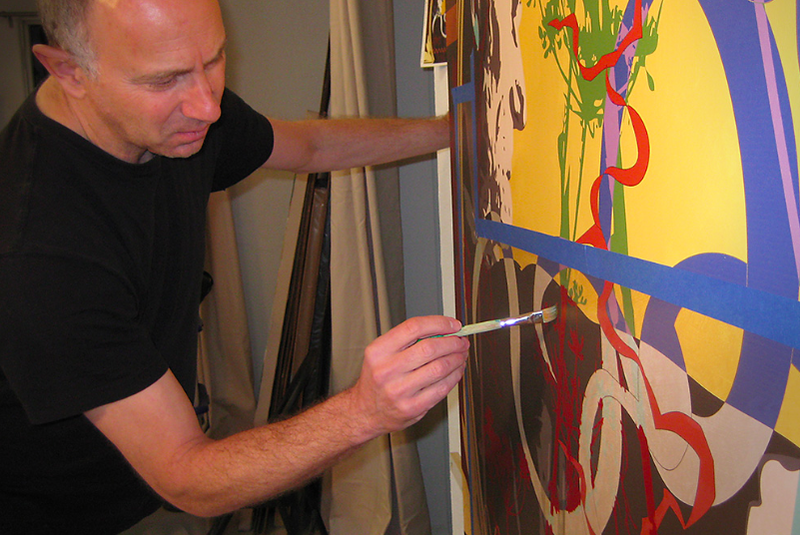 David Palmer was born in Syracuse, New York, but currently lives and works in Los Angeles. He was educated at the University of Massachusetts where he graduated in 1987 with a Masters of Fine Art. Inspired by nature, his work is representative of microscopic views of environmental relationships only visible through a microscope. Complex and cerebral, his work provokes thought. David's use of color and pattern combine to create energy and emotion on the canvas. I was immediately drawn into his web. 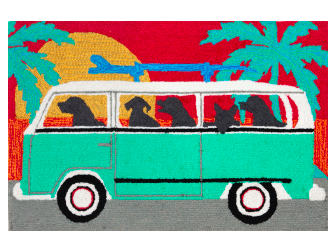 I apologize for the fuzziness of these photos, but I simply had to share these fun rugs from Trans-Ocean Group designed by artist Liore Manne. We have a black lab in our family named Levi so these first few rugs struck a chord with me. I may have to order one for my beach house! 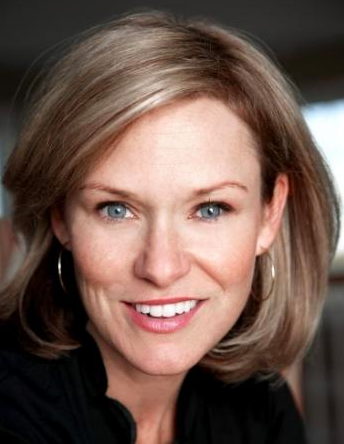 New York Designer, author and makeover television personality, Libby Langdon just debuted a new line with Walmart Online. The new line is called "Warm & Inviting" by Libby Langdon and is sold exclusively online. Walmart was brilliant to partner with a well known designer like Libby to offer a collection that is a cut above Walmart's usual offerings. I can't think of a better name for a line designed by Libby than "warm and inviting". Those two words sum up Libby's personality and design aesthetic to a tee. Libby had told me about the line when we had dinner a couple of weeks ago. I knew the line would be great if Libby put her name on it, but it is even better than I expected. 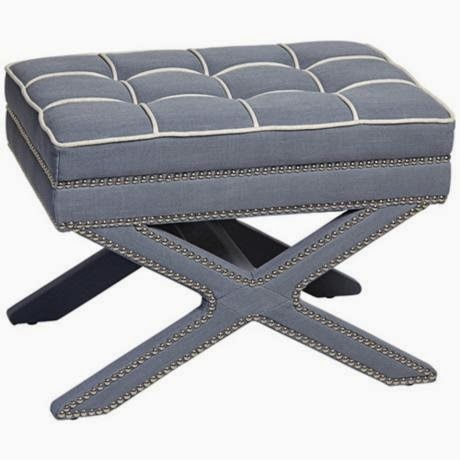 The collection includes rugs, pillows, poufs and more. There are too many great pieces to share in one blog post so go to Walmart online to see the rest. Check out the six curated collections Libby put together to make shopping the line ever so easy! I have chosen a couple of my favorites from each collection to whet your appetite to check out the entire collection. Friends Feeding Friends - Topsail kicked off this past Saturday June 21, 2014. F3, (the shortened version of the name) is an effort to stock the local food pantry by accepting donations of food from vacationers departing the island after a week's stay. If you do not have leftovers from your vacation week, you can still participate by making a monetary donation. Participation isn't confined to vacationers either. Locals are asked to throw a few extra items in their grocery cart for donation to the pantry as well. It would be wonderful to have participation by our local merchants and citizens. I love this quote credited to "the first lady of interior design," Elsie De Wolfe. Elsie became an interior designer by way of the stage. Perhaps working as an actor helped her create the dramatic life that so many found attractive. Wouldn't it be lovely if we could make everything around us more beautiful? Living a beautiful life means different things to everyone you asks. 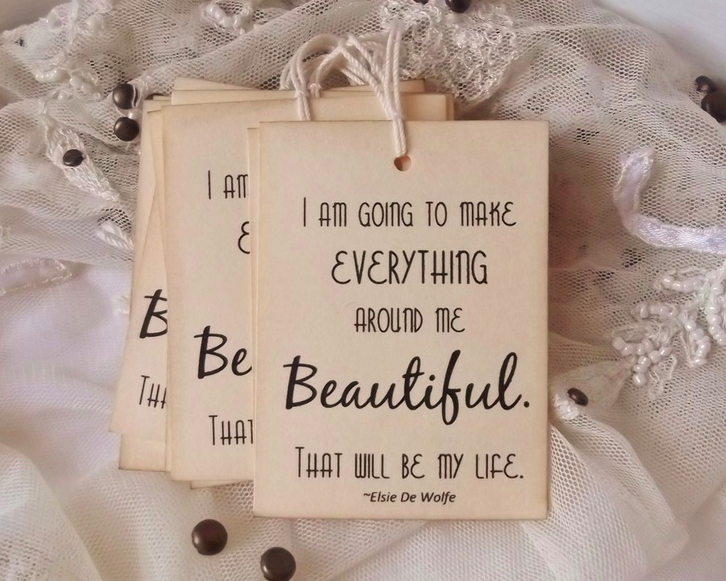 What is your beautiful life? Is it a serene day at the beach? Is it a day of service to others? 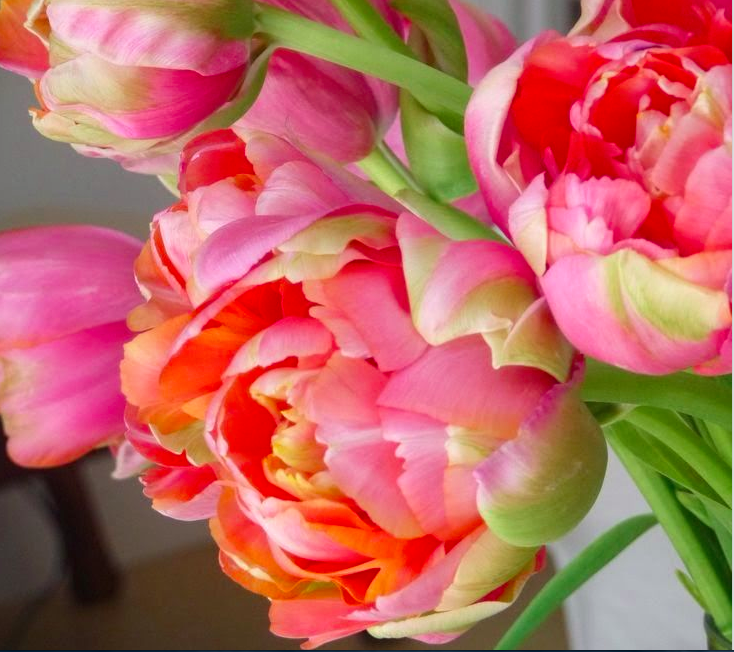 Does your beautiful life include fresh flowers or music? Are you living a beautiful life? If not, why aren't you? When we set our "intentions" daily, the chances of accomplishing our plans are more likely. Even if we don't meet our goals, our life is often made richer by the process. The journey can teach us valuable lessons about life and ourselves.Figure out what your beautiful life is and set your intentions today to create the life of your dreams. Make a list of things you wish to enjoy in life and strive to include them in daily living. Before you know it, your life will become more beautiful. I purchased Elsie de Wolfe's book "A Life in Good Taste" from Amazon. I'm intrigued by this iconic legends rules for living a beautiful life. Can't wait to learn more! In 2006, Laura Lee Brown and Steve Wilson, both avid art collectors and preservationist, embarked on a journey to create a boutique hotel that would serve as an economic boost for their community, while also creating an environment for stimulating a conversation about art and viewing it as part of everyday life. The pair forged a partnership with the renowned architectural firm of Deborah Berke Partners to rehabilitate a group of 19th century tobacco and bourbon warehouses along Louisville's West Main Street in downtown Louisville and the 21c Museum Hotel became a reality. The name itself pays homage to the 21st century and current world class artists whose work is showcased in the hotel. 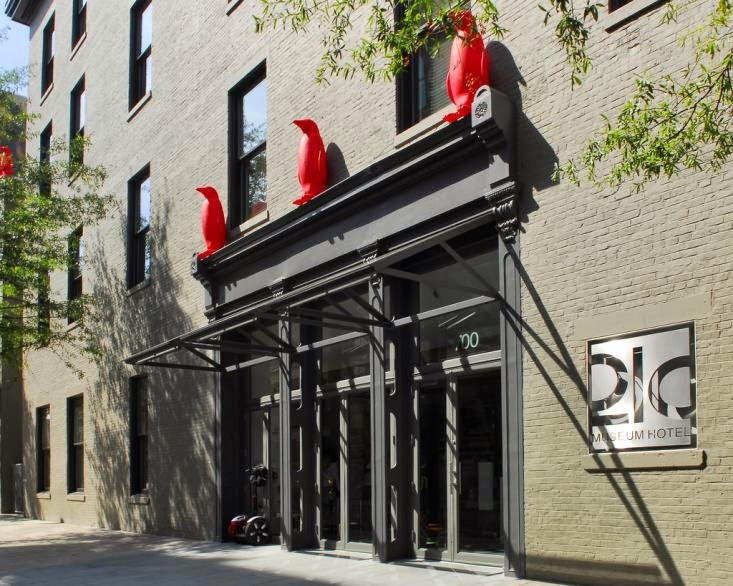 After the success of the flagship hotel, civic leaders from across the country began to inquire about the 21c hotel and two other hotels have opened in Cincinnati and Bentonville, Arkansas. The hotel developers are slated to open 15 new properties in the next 5 to 10 years. I am sorry I haven't been blogging. Last week was an exciting and very busy week. I was asked to style a photo shoot for a national magazine and then hopped on a plane to Arkansas for Mastermind with Tobi Fairley. I'm not at liberty to divulge the details of the photo shoot yet, but when the magazine hits the newsstands mid August, I promise you will be the first to know. Styling for a shoot is an arduous process, but I thoroughly enjoyed every minute. Don't Miss Out!! 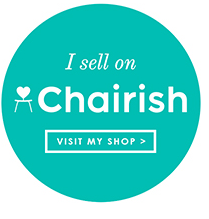 My 55 Downing Street Sale Til June 7th! Want beautiful furniture at great prices?